Walnut Street Books, 9781947597020, 206pp. 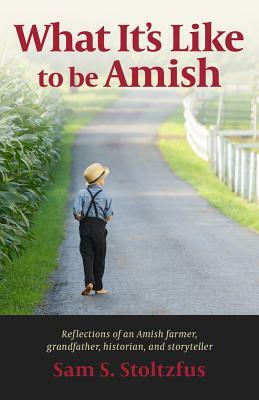 Sam S. Stoltzfus spills over with stories that are centered in the Amish community where he has belonged since childhood. Told completely from inside the Old Order Amish world, Sam’s 33 stories cover amazing ground, including: the hazards of driving a horse and buggy on public roads on a dark night; the drama of a bank robber hiding in Amish country; the process of “going in with the boys," or being old enough to sit with his peers during church; the hard work of rebuilding after barn fires; the adventure of three inexperienced Amish cousins building a traffic-worthy bridge on an uncle’s farm; and more. Now a grandfather, Sam Stoltzfus tells the truth, and gives just enough background so a reader from outside the Amish community can understand what’s happening, and its significance. Sam Stoltzfus and his wife Katie live in eastern Lancaster County, Pennsylvania, on a 40-acre dairy farm. They have nine adult children. Sam operates a shed and gazebo business and also processes horseradish to sell. His hobbies include writing a column for an Amish publication and keeping up with local and Amish history.